One job we can’t do until the last-minute is setting the table for dinner. The Christmas table is the pièce de résistance of every Domestic Goddess. It’s where the stage is set to showcase all the hard work and preparation that went into the feast. 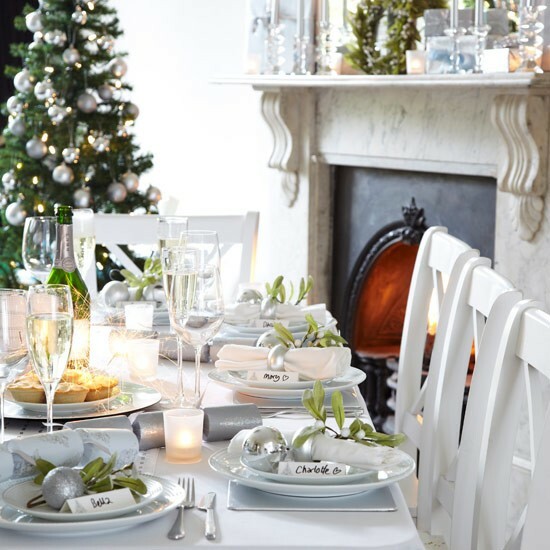 There are plenty of options when deciding on the theme for your Christmas table setting, modern, formal, relaxed, Victorian, rustic, etc. For maximum impact, pick a theme and colour scheme and run with it. This was our Christmas table last year. I kept it very simple with a crisp white table-cloth and used red and gold accents as the backdrop. I made bows for the napkins from some gold organza ribbon and placed some faux berries on the plate alongside. A centrepiece of fresh flowers and some candles and I was done. 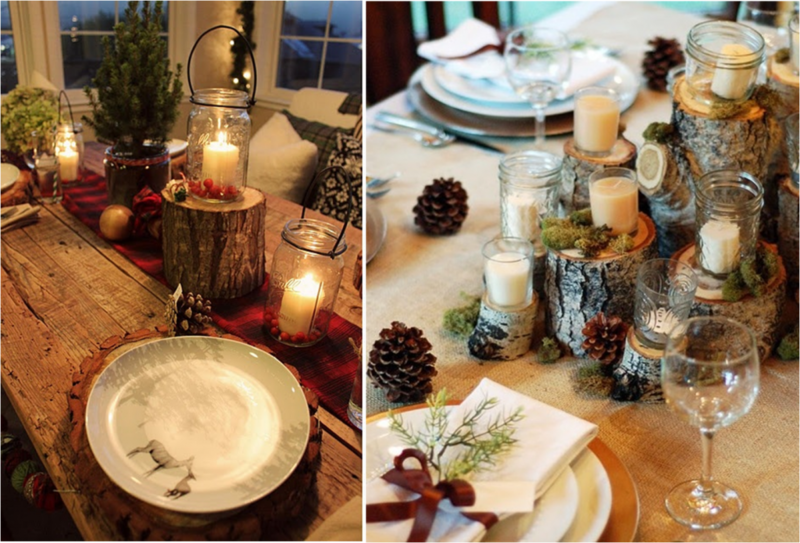 Bring nature indoors with a rustic setting on your table. If you’re feeling particularly creative you could take a stroll in the countryside and gather some pine cones, greenery, holly, fir-tree branches etc and collect your own. The devil is in the detail and it’s the details on your table which will add drama and personalise your arrangement. 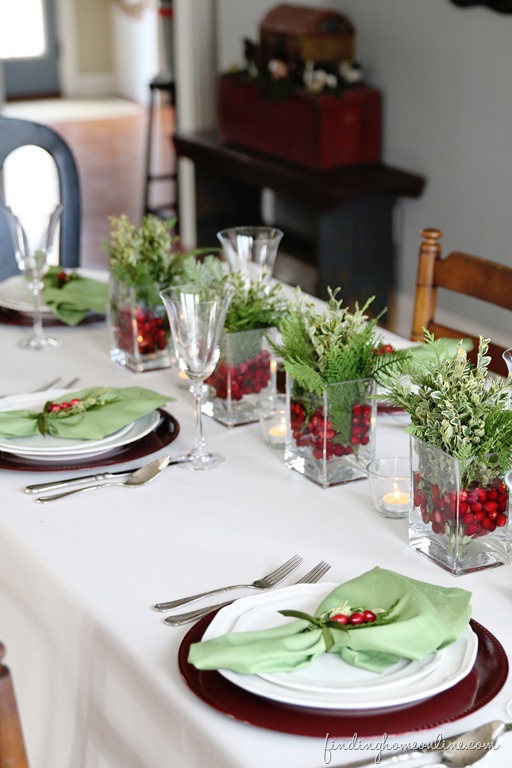 Repetition is a great way to create a visual impact such as these vases filled with cranberries and greenery from Finding Home Farms which have a very dramatic effect. The soft glow of candlelight on a dining table is hard to beat especially if you sit down for dinner as the daylight fades. 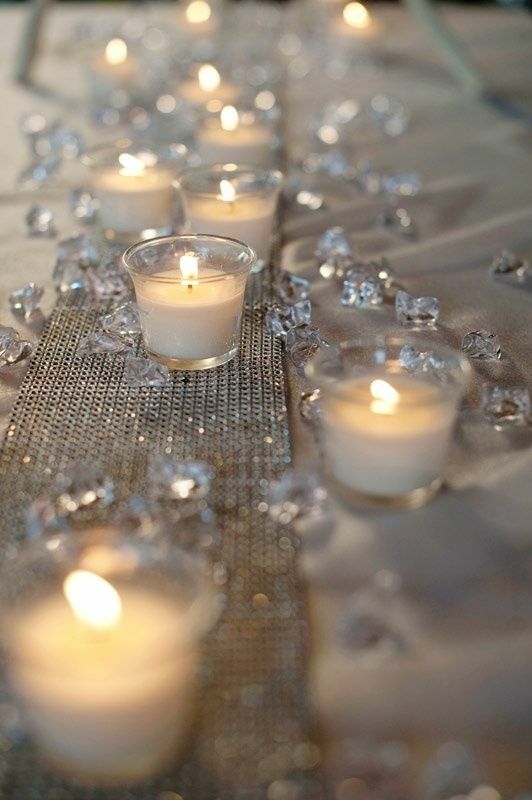 Pile tea-lights and candles of different heights and sizes on the table for a sparkling glam affair. 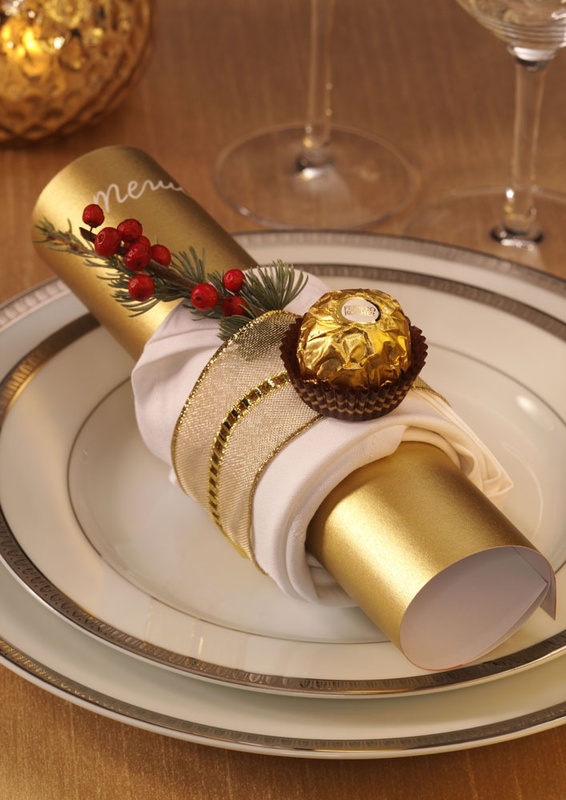 Who doesn’t love The Ambassador’s favourite nibble at Christmastime. I love this idea from Valentina Alexandra it’s simple and yet stunning. I love this idea from House to Home. Dress up your dining chairs with colourful scarves for an instant update this Christmas. Choose two complementary shades that match your scheme and tie around the chair backs for instant glamour. Finish with festive baubles. I hope this post gives you some inspiration for your big banquet! 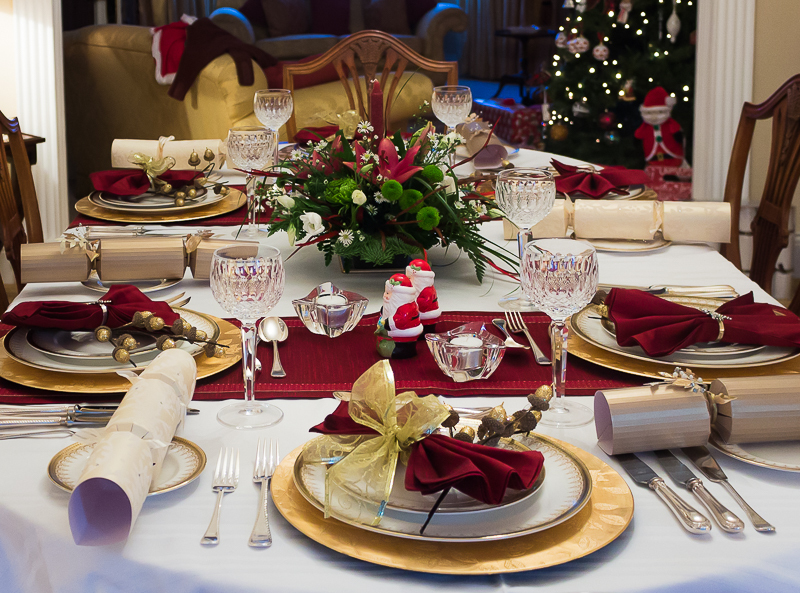 Your table arrangement is stunning and this looks like such a romantic setting to spend Christmas. I also love that you built the table and that plywood tree you made is also such a fun detail!